This is awesome! My friend’s gonna love this, her dad competes in the pickle contest, won 2nd place this year. I have a “red-wing” crock (no lid), and I can make good pickles in it, but I get a lot of surface scum and yeast which I must remove daily. 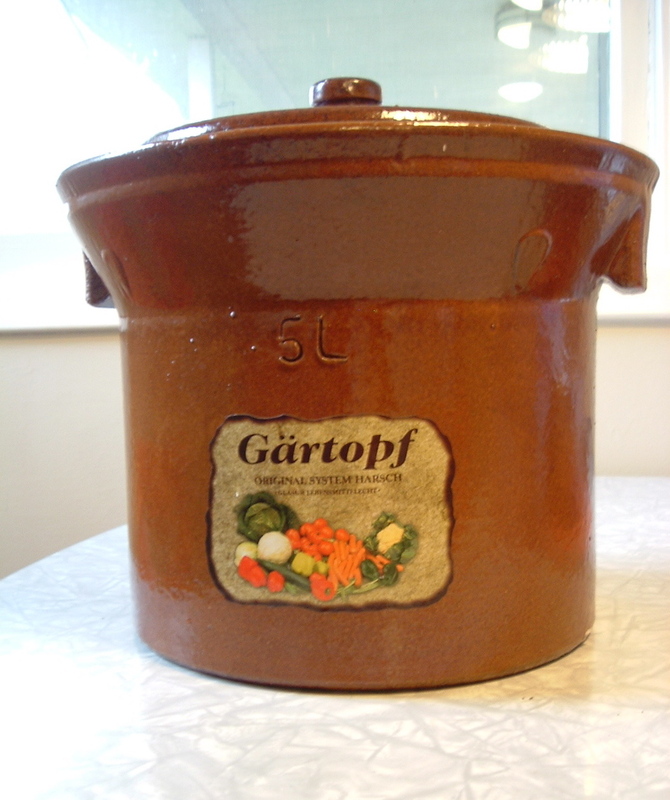 Do you think I could make it work more like a Gärtopf crock if I placed the crock in a tray of water and inverted a bucket or something over the whole crock? Alan, I don’t know — you could certainly try it out. Sounds like more hassle than it’s worth to me, though. I don’t think you’re going to get the same kind of protection. You should be sure to use a food-grade bucket. Thank you for the detailed directions. This is the first year I’ve grown a garden and I have tons of cucumbers. I never knew I would be making pickles and I appreciate all the help I can get! Thanks for the recipe. Do you know if the cucumbers will still pickle if I don’t poke them? Also have you ever tried them without vinegar? Is that a bad idea? Georgia: Take a look at the link above for fermented pickles. It talks about not using vinegar. There are some risks involved. 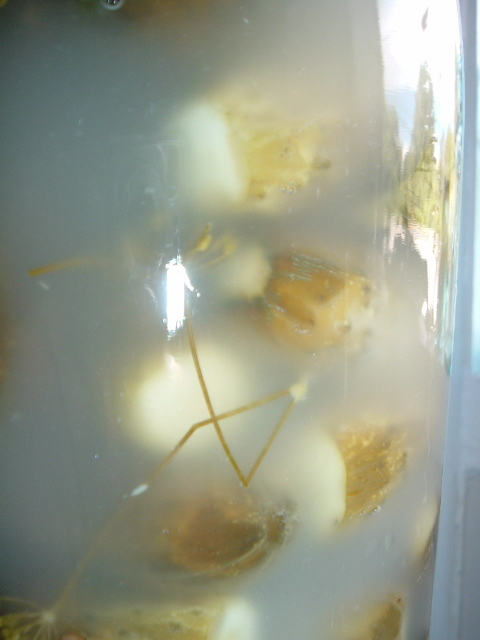 Poking the pickles allows brine to reach the inside of the cucumbers faster — it’s another technique for discouraging bacteria growth. Good luck! I am a newbie to canning anything that isn’t jam but we are growing cucumbers this year and I desperately want to pickle. Can a pickling veteran tell me how many cucumbers (of the roughly 4 inch variety called for) make up 4 lb of cucumbers? 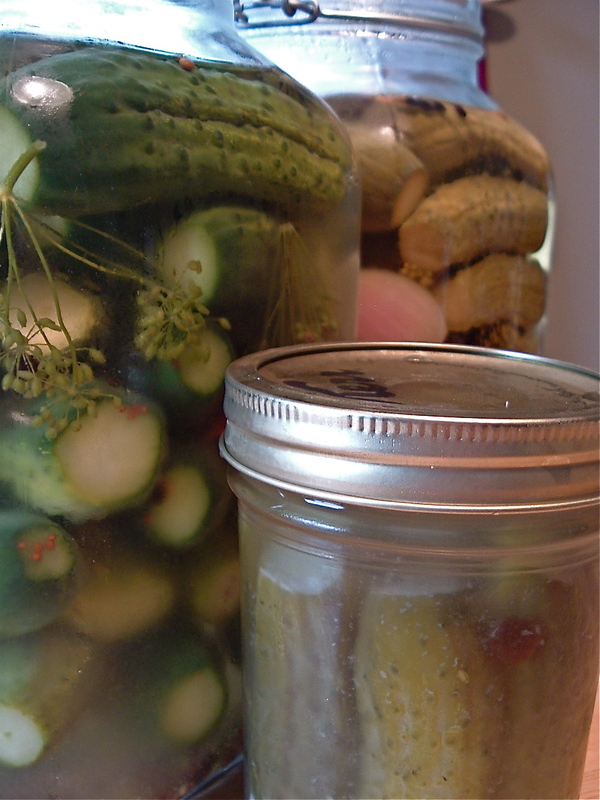 JNKCMD: If you’re a newbie, I’d recommend buying pickling cucumbers, honestly. They’re so much more uniform and picked at just the right time. Pickling cucumbers is much harder and error-prone than pickling beans or asparagus, so you might want to do your very first canning with one of those vegetables. Cucumbers vary so much in water content and thickness, it would be inadvisable to estimate weight for pickling. My advice about the weight is to (1) buy a cheap scale, or (2) use canned food (which has the weight printed on it) to estimate an equivalent amount of cucumbers. Hi, we followed the above and everything worked great. Except, we have some what looks like drainage as they cooled that ran down the sides. 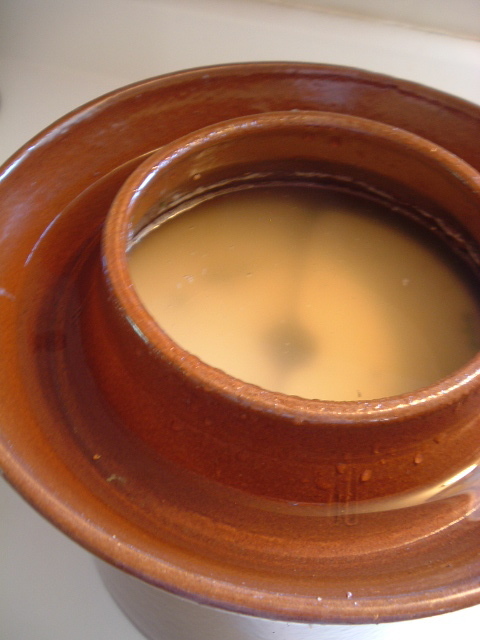 The jars are sealed and seem fine, but we were worried about the drainage…is it okay? We did about 10 jars. Excellent, I’m so glad to hear things went well! It looks like you experienced some siphoning. How much liquid was displaced in the pickle jar? If it’s a little, I’d worry less than if it were a lot. It’s very hard to tell without looking at it, but if the seal held and it was a little (say, 1/4 or 1/2 inch) then you should be ok. Important, though: carefully wipe down the jar lid and jar, as the salt from the siphoning brine may corrode the outside of the lid otherwise. And never store your pickles with the rings on them because they will rust. Good luck! I just canned some of your quick kosher dills. after processing, the liquid level went down from 1/4″ to maybe an inch. Am I going to die of botulism? Also, I had to process them on their sides since I didn’t have a tall enough pot for my quart jars. Am I going to die of botulism? #2 has a causal relationship to #1. Processing quarts on their sides?! Go get yourself a tall stockpot at Goodwill, man, for Chrissakes. You’re making at least minimum wage as a UO professor. What happened was the liquid siphoned off because the jars didn’t have a seal when you put them in the pot on their sides. I’d say refrigerate these to be absolutely safe, but wouldn’t worry too much if there’s a seal and you really did use my recipe so the vinegar is at a significant level — how many did you make? P.S. You’re lucky the jars didn’t break on their sides. Then you would have been in a pickle, indeed. Yes ma’am. I’ll go get a big stock pot. I did buy a bigger one before processing, but it still wasn’t tall enough to cover the lids sufficiently (what with the bubbling and splashing of the boiling water). I made 5 quarts. And I may have messed with the spices a bit, but I definitely used your ratio of vinegar/water/salt. They all formed a good seal. I have another batch of cucumbers coming up in a few days. Who knew two vines would sock me in with this many cucumbers. If I’m on the fence about the odor of my fermented pickles, should I wait the recommended amount of time before making a decision on whether to discard?